A Bitter Truth: A Bess Crawford Mystery. Charles Todd. HarperCollins. May 1st 2012. 368. 9780062015716. Todd’s (actually a mother and son writing team) second mystery featuring British nurse Bess Crawford involved in a murder while on Christmas leave from war torn France. 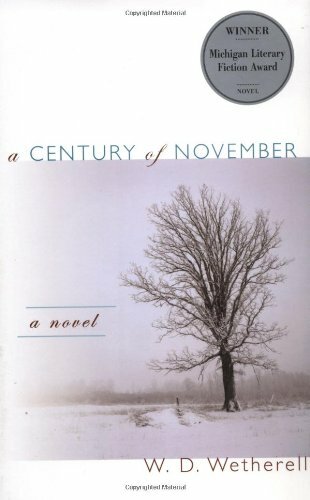 A Century of November. W. D. Wetherell. University of Michigan Press. September 9th 2004. 164. 9780472114313. The story of a Canadian magistrate seeking the spot in Belgium where his son was killed in WWI. 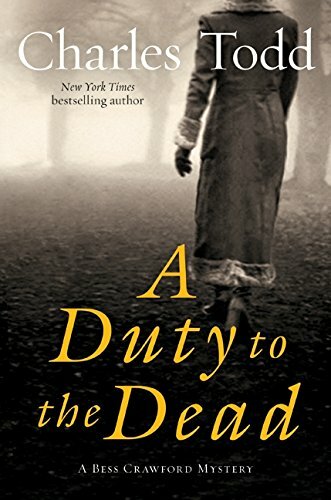 A Duty to the Dead: A Bess Crawford Mystery. Charles Todd. William Morrow. August 25th 2009. 329. 9780061791765. First in a series of Bess Crawford novels in which, Bess, daughter of a distinguished army officer, volunteers to become a nurse in WWI. A Good Woman. 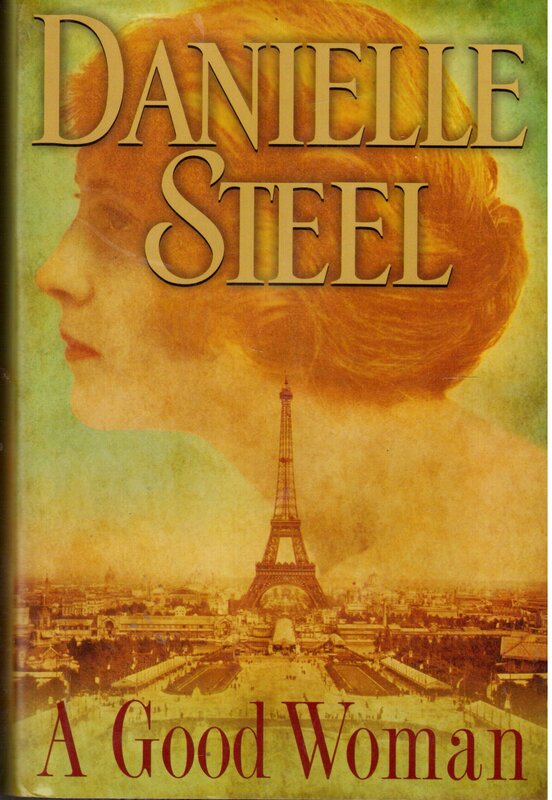 Danielle Steel. . 2008. 336. 0739494686. Best-selling author Steel weaves a story of a woman who loses her father and brother on the Titanic and later throws herself into the war effort doing medical work in France. 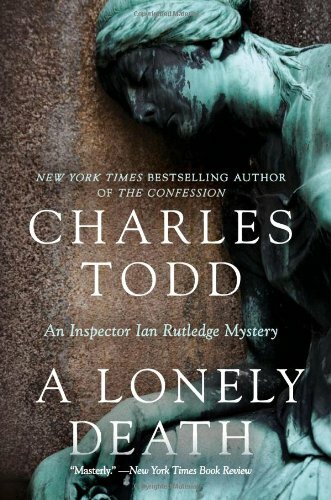 A Lonely Death: An Inspector Ian Rutledge Mystery. Charles Todd. Harper Collins. January 4th 2011. 368. 9780062034687. Shell shocked Scotland Yard detective Ian Rutledge returns to solve a triple homicide. 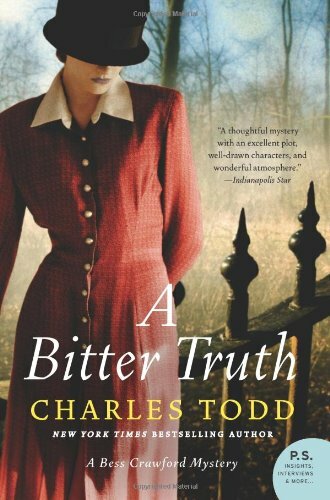 Charles Todd is a pseudonym for the mother-son writing team of Charles and Caroline Todd. A Long Long Way. Sebastian Barry. Penguin Books. September 8th 2005. 304. 0143035096. 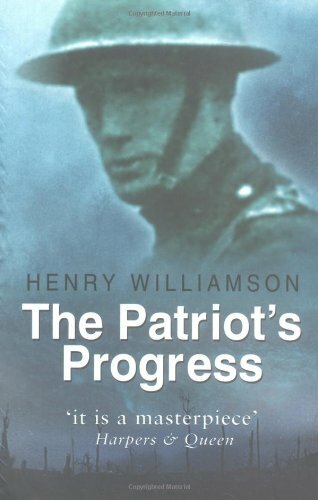 The tragic story of a young, conflicted Irish patriot serving in the British Army who attempts unsuccessfully to straddle two worlds as Irish nationalists fight for independence while war rages on the Western Front. Includes an excellent bibliography of books on the Irish experience in the Great War. A Month in the Country. J.L. Carr, Michael Holroyd. NYRB Classics. October 31st 2000. 135. 0940322471. First published in 1978, this is the story of a shell shocked WWI veteran who finds solace in restoring a work of art in a Yorkshire village church. 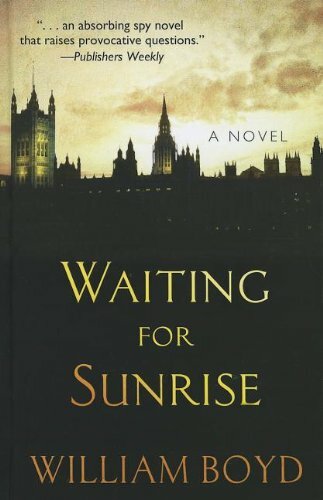 This novel was made into a 1987 movie starring Colin Firth and Natasha Richardson available on Region Two DVD from Amazon.co.uk. Winner of the Guardian Fiction Prize. 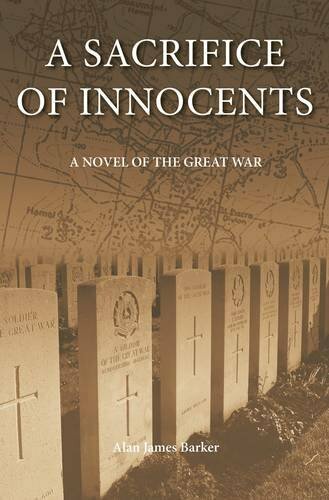 A Sacrifice of Innocents: A Novel of the Great War. Alan James Barker. Tommies Guides. February 1st 2009. 340. 0955569877. A believable work on the experiences of a British battalion on the Western Front from September 1915 to March 1916. A Sailor of Austria. John Biggins. McBooks Press. January 1st 2005. 375. 9781590131077. In which, without really intending to, the fictional protagonist Otto Prohaska becomes Official War Hero No. 27 of the Habsburg Empire. A Soldier of the Great War. Mark Helprin. Harcourt. June 1st 2005. 860. 9780156031134. An Italian veteran remembers his war. Reprint of a classic novel first published in 1991. A Test of Wings. Owen J. McNamara. Llumina Press. July 1st 2005. 224. 9781595260185. 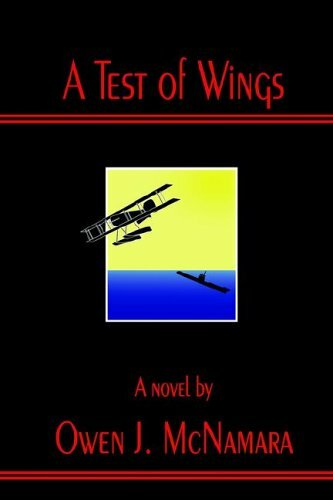 Novel of a US Navy officer flying anti-submarine patrols off the southern and eastern coasts of England in 1918. Favorably reviewed in Naval History magazine. 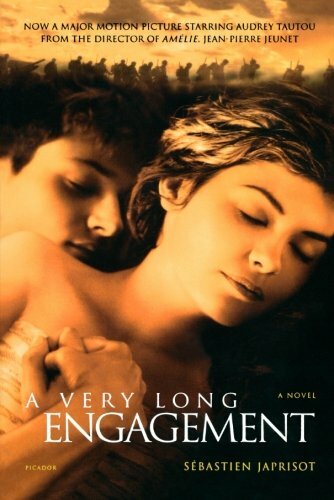 A Very Long Engagement. Sébastien Japrisot. Picador. November 15th 2004. 336. 9780312424589. A young, polio-crippled Frenchwoman, Mathilde Donnay, investigates the web of deception that shrouds the fate of five soldiers condemned for self-inflicted wounds. All five, including her fiancé, are reported dead. Refusing to believe this, the shrewd Mathilde hires a private detective, enlists the help of family and acquaintance and travels far and wide to unravel the cover-up and find her missing lover. Told at many levels and in many voices, the is at once a war novel, mystery and a love story.. The author uses many techniques including documents, flashbacks and brief, but brilliant character sketches to paint a vivid vision of wartime and postwar France. 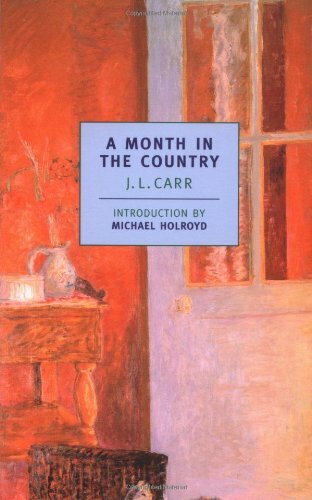 Winner of the prestigious Prix Interallie in 1991, and a best-seller in France, this novel received well deserved praise in the United States when it was first published here in translation in 1996. A movie based on it was released in 2004 and was subsequently nominated for two Academy Awards. A Very Profitable War. Didier Daninckx, Sarah Martin. Melville International Crime. December 5th 2012. 224. 1612191843. Set in post WWI Paris, this noire detective novel delves into infidelity, war profiteering, anarchism, blackmail and murder impinging upon national security. Translation from the original French. Across the Blood-Red Skies. Robert Radcliffe. Little, Brown Book Group. February 17th 2011. 336. 9780748129478. An unimaginative novel of WWI in the air panned by a reviewer in Stand To!, the UK journal of The Western Front Association. 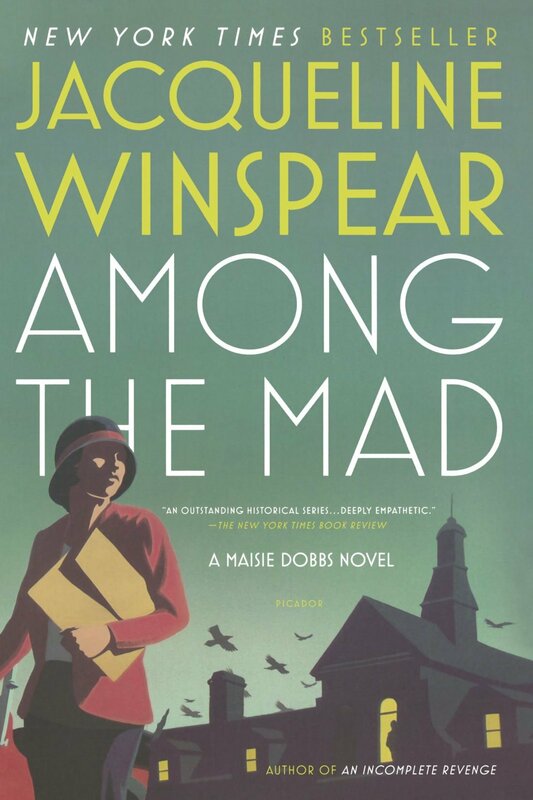 Among the Mad: A Maisie Dobbs Novel. 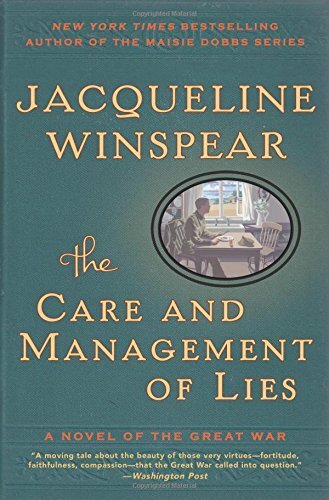 Jacqueline Winspear. Picador. November 24th 2009. 336. 9780312429256. In her sixth Maisie Dobbs detective novel, Winspear has her heroine join a high power Scotland Yard team in attempting to forestall cataclysmic disaster in 1931 London. Maisie, a WWI VAD, again uses her WWI experience to crack the case. 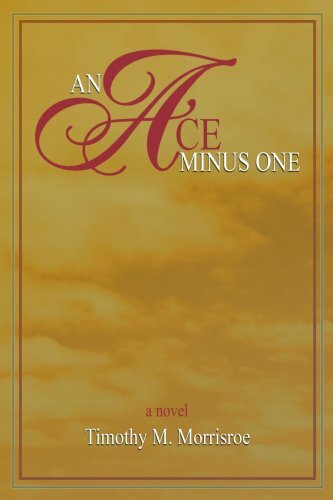 An Ace Minus One. Timothy M. Morrisroe. iUniverse. August 22nd 2006. 620. 0595391354. 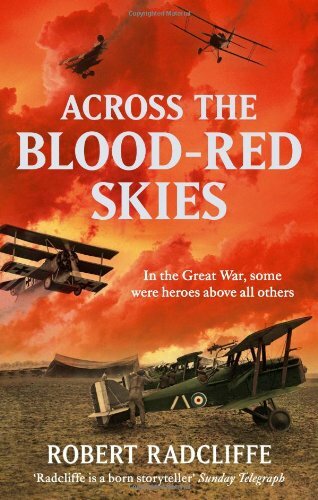 A novel of WWI in the air. A 14 year-old American flees home after killing a man, and finds himself in France first as an ambulance driver at Verdun and then as a volunteer in a French fighter squadron. Look for a review in Camaraderie. 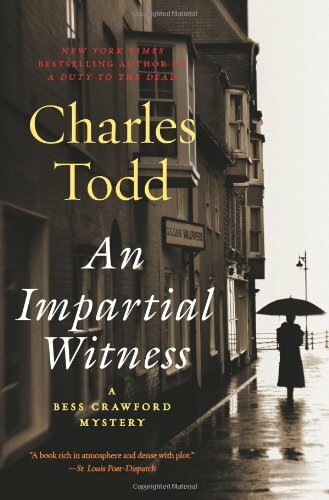 An Impartial Witness: A Bess Crawford Mystery. Charles Todd. William Morrow. August 31st 2010. 352. 0061791784. A British nurse crisscrosses England investigating mysterious deaths during WWI. Recommended by Susan Hall-Balduf. 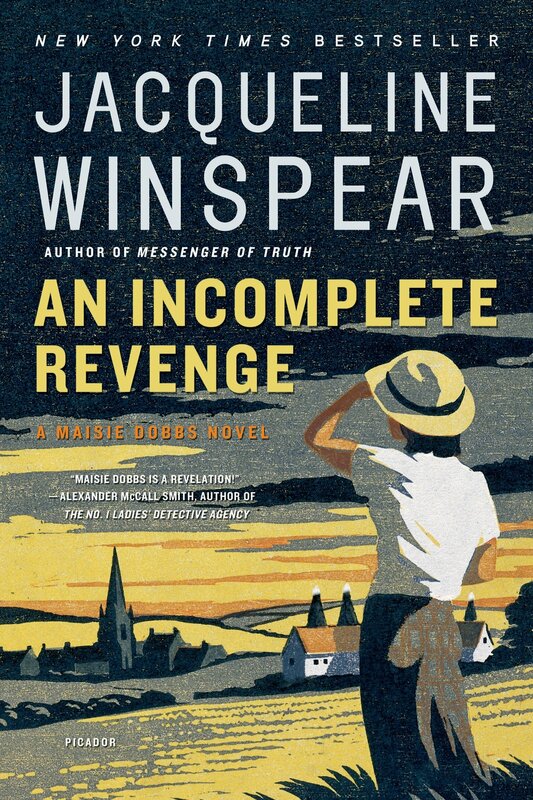 An Incomplete Revenge: A Maisie Dobbs Novel. Jacqueline Winspear. Picador. November 25th 2008. 352. 9780312428181. Fifth in the Maisie Dobbs series of crime novels with a WWI tie-in investigated by a British wartime VAD nurse turned private eye. An Unmarked Grave. Charles Todd. HarperCollins. January 2nd 2013. 272. 9780062015730. It’s 1918 and nurse Bess Crawford is investigating the murder of a British officer on the Western Front and finds herself becoming a target of the murderer; second novel in the Bess Crawford series. The first Bess Crawford book: A Bitter Truth, a William Morrow reprint, 2012, is also available from Amazon. Armistice. Nick Stafford. . 2010. 311. 9781849160230. Set in post-1918 London, a Manchester seamstress searches for news of her fiancée killed on the Western Front. A tangled web of deceit. August 1914. Aleksandr Solzhenitsyn. Random House. August 7th 2014. 832. 9781448191376. A massive historical novel first published to near universal acclaim in 1971; a mixture of well-researched fact and fictional Russian characters involved in the disastrous battle of Tannenberg. Beneath Hill 60. Will Davies. . 2010. 288. 9781448125265. 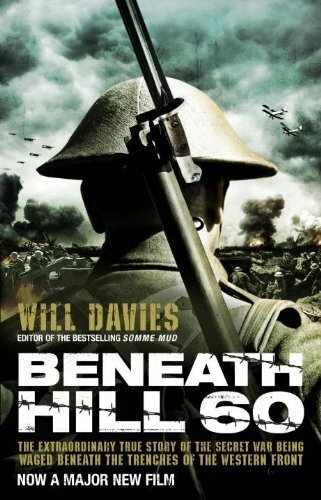 Just released as a motion picture in Australia, this recounts the story of Australian miners digging a massive mine under German trenches on Hill 60 in Flanders 1916. 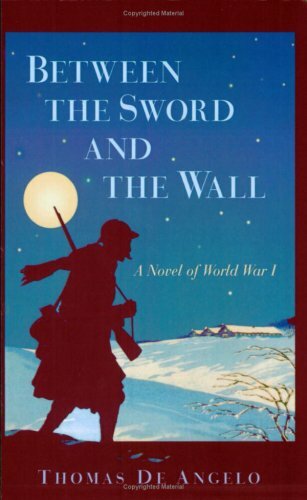 Between the Sword and the Wall: A Novel of World War I. Thomas De Angelo. . March 17th 2007. 130. 0974990639. 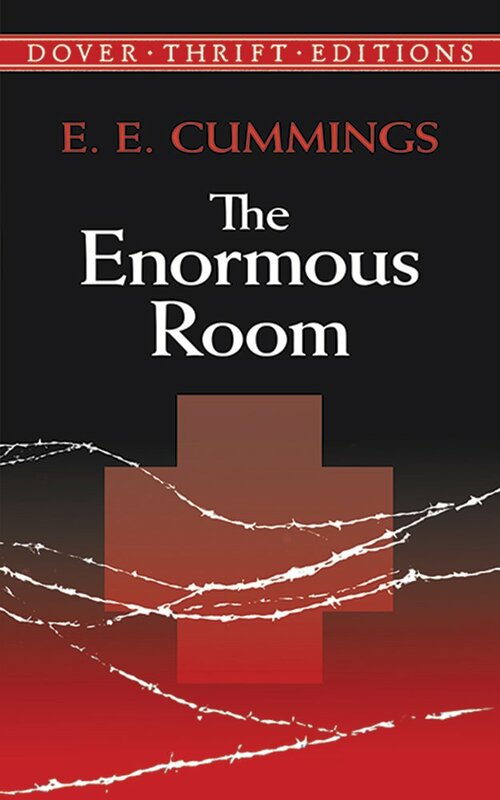 A novel about British Nurse Edith Cavell and the German occupation of Brussels. Beware of Pity. Stefan Zweig, Phyllis Blewitt, Trevor Blewitt. New York Review of Books. June 20th 2006. 353. 1590172000. 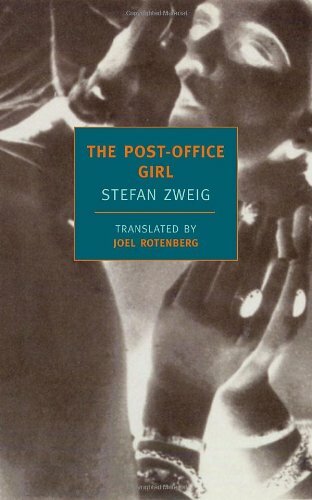 A powerful novel (first published in 1939) by Austrian master writer Zweig who traces the disintegration of an Austro-Hungarian Army officer even as Europe marches toward the 1914-18 cataclysm. At the height of his literary career in the 1920s and 30s, Zweig was one of the most famous writers in the world. Many of his books reflect nostalgia for the Austro-Hungarian Empire. Birds Without Wings. Louis de Bernieres. Knopf. August 24th 2004. 630. 9780307368874. A novel by the author of Captain Corelli’s Mandolin about the twilight of the Ottoman Empire in Anatolia before, during and just after WWI. 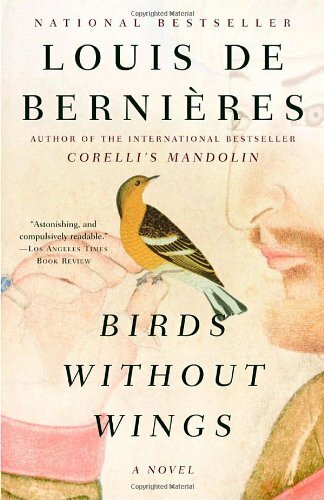 Bermieres presents a series of often quirky first-person accounts by characters in a multi-ethnic village. Interwoven is the biogrpahy of Mustapha Kamal Ataturk, founder of mono-ethnic Turkish Republic. A good read if not exactly good history. Buck’s Story: A Marine in the Great War. Wayne A. Pettyjohn. Xlibris. November 20th 2010. . 978-1456817671. A fast-paced historical novel, an entertaining mix of fact and fiction based on stories recounted by veterans of the Fourth Marine Brigade of the Second Division, AEF. To purchase, contact the author at wpettyj@aol.com (405) 372-1981. 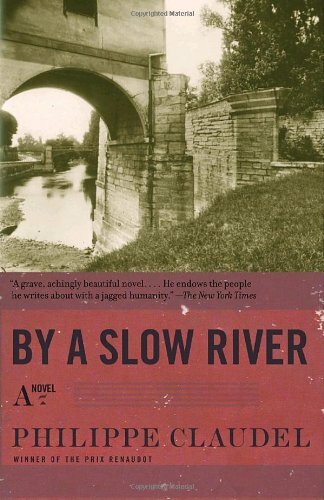 By a Slow River: A Novel. Philippe Claudel, Hoyt Rogers. Knopf. December 18th 2007. 208. 1400042801. A French village policeman unravels the thicket of lies and deceit surrounding the 1917 death by strangulation of a young girl. Winner of the Prix Renaudot. Captain Conan. Roger Vercel. . February 25th 2008. 296. 9781570037139. 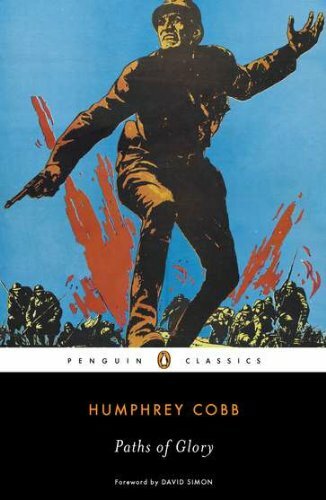 First published in 1934, this novel of WWI of French troops on the Bulgarian front and postwar occupation duty in Bucharest won a Prix Goncourt and war made into a motion picture available on DVD and video tape. Class 1902. 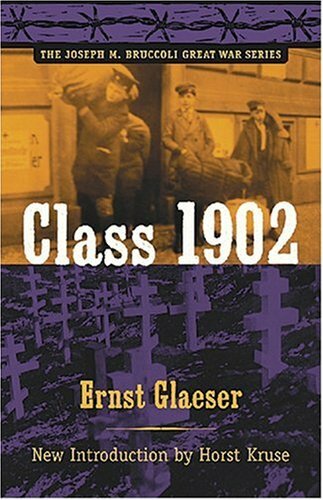 Ernst Glaeser. . February 11th 2008. 326. 9781570037122. Another in the Joseph M. Broccoli WWI Series, this novel was first published as Jahrgang 1902, this book tells the story of the German home front as seen through the eyes of an under-draft-age youth. Coming Home. Roy E. Stolworthy. Claymore. 2012. 376. 9781781590713. Story of a 15-year-old British volunteer seeking a glorious death in his slain brother’s name. A first novel short listed for the 1910 BritAwards for unpublished fiction. Covenant with Death. John Harris. . April 1st 2015. 505. 9780751557121. 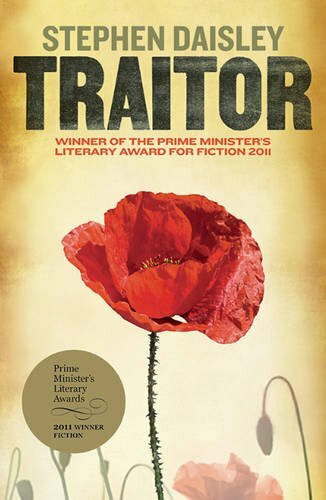 Traces the fate of one battalion of Kitchener volunteers through training to the Somme. Available used from Alibris and other used booksellers. Demons Walk Among Us. Jonathan Hicks. Lolfa. December 3rd 2013. 333. 0956012590. 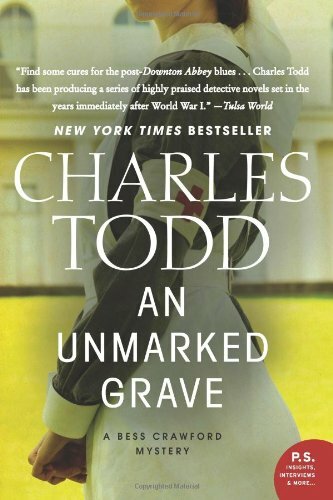 The second Thomas Oscendale mystery tells the tale of a French detective haunted by war seeking to unravel a series of murders. 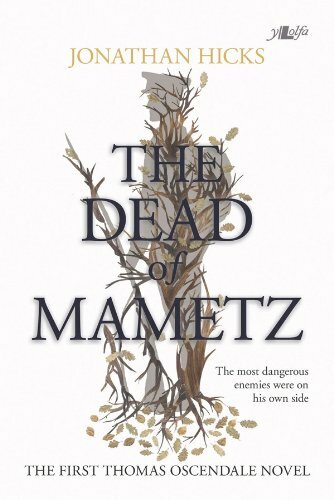 See also The Dead of Mametz by the same author and first book in this series. 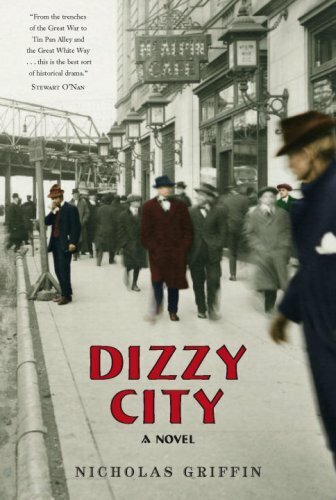 Dizzy City: A Novel. Nicholas Griffin. Steerforth Press. August 21st 2007. 384. 1586421328. 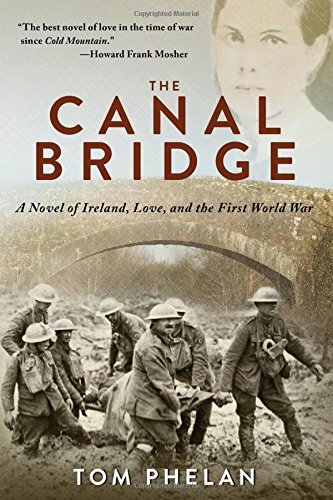 Englishman Benedict Cram deserts the Western Front trenches and stows away on a ship bound for New York City where he falls under the sway of urbane grafter, Julius McAteer. A sting within a sting; a crime novel with historic detail. Recommended by WFA editor-publisher Susan Hall-Balduf. Emperor’s Tomb. Joseph Roth, Michael Hofmann. New Directions. April 22nd 2013. 200. 081122127X. Written by an Austrian novelist, essayist, journalist and war veteran about the decline and fall of the Austro-Hungarian Empire during WWI and the post war-world of mitteleuropa. The second of two ironic novels tracing the saga of three generations the Trotta family; of world literary rank. 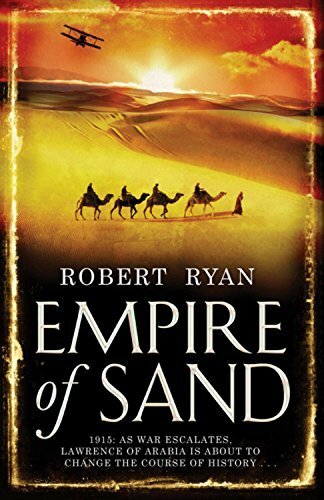 Empire of Sand. Robert Ryan. Headline Review. April 3rd 2008. 384. 0755329244. A novel of T. E. Lawrence before he became famous fomenting Arab revolt in the Hejaz. His foil is Wilhelm Wassmuss, a real life German agent provocateur already fictionalized by John Buchan in Green Mantle. 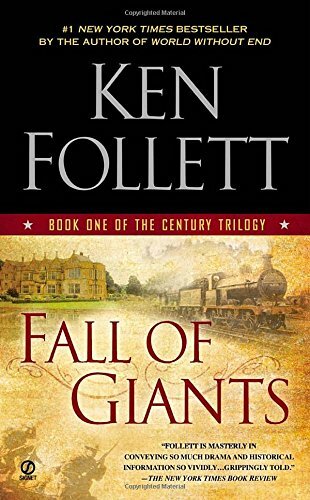 Fall of Giants. Ken Follett. Penguin. August 30th 2011. 960. 9781101543559. First book of The Century Trilogy published by Dutton in 2010. 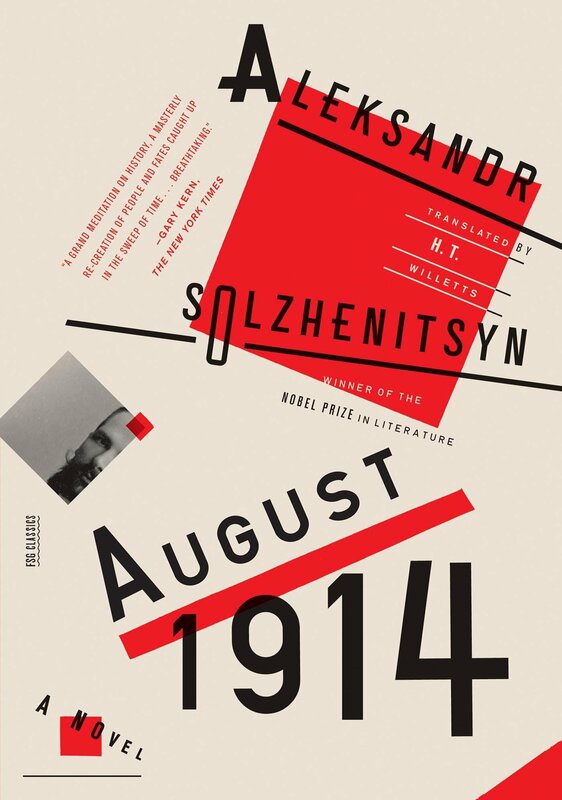 This novel by the author of Eye of the Needle follows the lives of fictional characters from five countries from 1911 to 1924 putting them into genuine historical situations involving WWI combat on two fronts, the Russian Revolution and the struggle for workers’ rights and women’s suffrage. 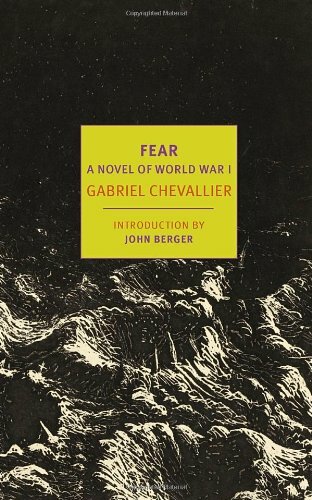 Fear: A Novel of World War I. Gabriel Chevallier. New York Review of Books. May 20th 2014. 305. 9781590177167. First published in French in 1930, this is the fictionalized account of the front-line experiences of a French poilou called up in 1915. 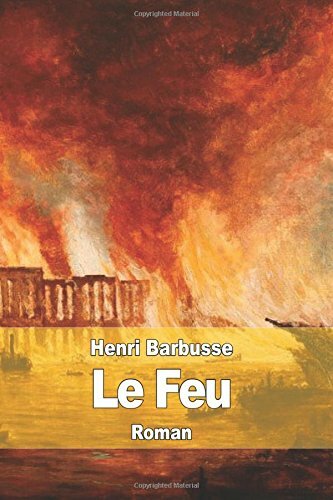 The author, writing in the tradition of Henri Barbusse’s Le Feu, was a veteran of WWI. // The compelling story of a young French piolu who sees far too much of war. Translation from the original French. Goshawk Squadron. Derek Robinson. Da Capo Press. October 13th 2005. 288. 0786715952. Exciting, myth-debunking aviation novel. // Novel by the author of Piece of Cake, published in 1971 and shortlisted for a Booker Prize. The cynical and often hilarious story of the misfortunes of an imaginary RAF pursuit squadron on the Western Front in 1918. A sort of WWI Catch 22. Harvard 1914: A War Romanc. Allegra Jordan. Gold Gable Press. November 1st 2012. 330. 9780988203105. Set in Boston and Flanders this is a love story involving an American woman and a German nobleman, both students at Harvard. Things get complicated when he is called home for military service. 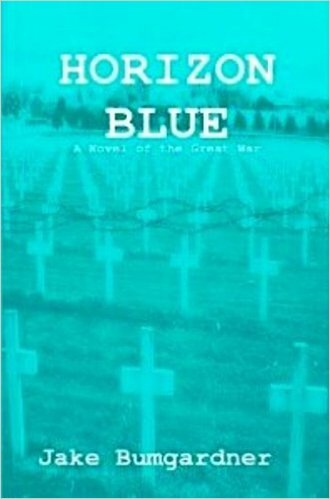 Horizon Blue: A Novel of the Great War. Jake Bumgardner. Pastis Press. September 4th 2011. 285. B005LSDM74. Available from the author at www.lulu.com/content/1765825. This is the story of a friendship between a captured French officer and a German prison camp official. 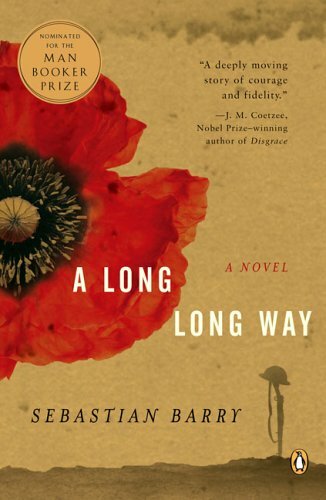 Well constructed fiction weaving in actual WWI situations. 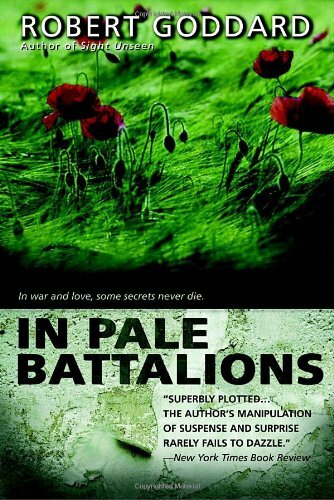 In Pale Battalions. Robert Goddard. Delta. May 29th 2007. 368. 0385339208. Reprint of a 1988 Bantum thriller by British novelist Robert Goddard (Into the Blue), a family mystery based on WWI. In The Company of Eagles. Ernest Kellogg Gann. . August 1st 1969. 223. 9780450003929. 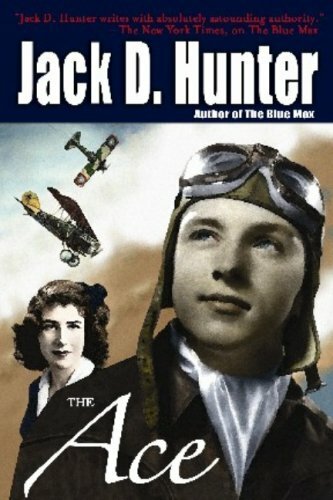 Gann (1910-1991) barnstormer, commercial and WWII USAAF transport pilot was the author of The High and the Mighty, Fate is the Hunter and 19 other bestsellers and one of America’s premier novelists who specialized in aviation. This is the fictional tale of two combat fliers, one French, one German, fighting over the Chemin des Dames in the spring of 1917. Several of Gann’s books have been made into major motion pictures. 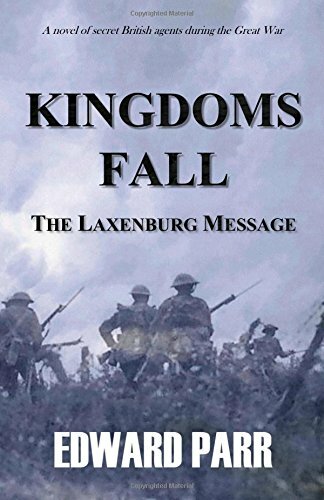 Kingdoms Fall: The Laxenburg Message. Edward Parr. . July 10th 2013. 304. 9781484905531. 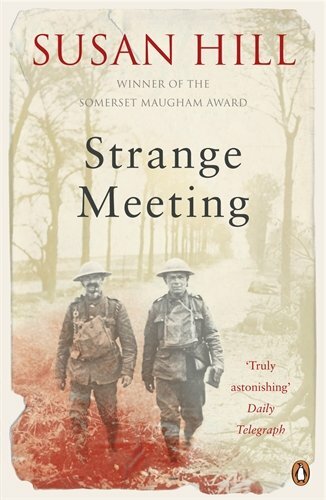 The story of the First World War from the point of view of two fledgling British intelligence officers recruited into the new SIS. Part of The Kingdoms Fall series by the same author. Le Feu: Journal d'une Escouade. Henri Barbusse. Editions Payot. 2012. 380. 9781167914942. WWI centennial commemorative reissue of the winner of the 1916 Goncourt Prize, a novel of WWI which has become a classic; with an appendix containing the text of Wilfred Owen’s Dulce et decorum est. Le Feu is French poilu slang for “the front” and is not to be literally translated as “the fire.” Escoude is an infantry squad. Life Class. Pat Barker. Anchor. January 6th 2009. 320. 0307387801. From the Booker Prize-winning (Ghost Road) author of the Regeneration trilogy, this novel takes on the issue of art and war-time censorship. Loss of Eden Trilogy. 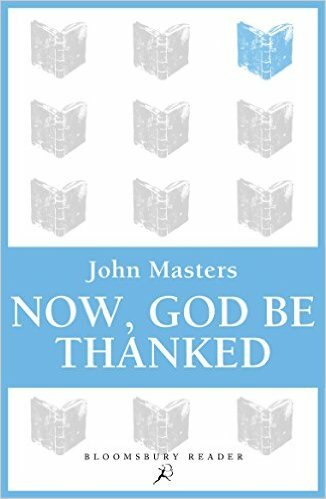 John Masters. McGraw-Hill. January 1st 1979. 589. 9780070407817. Three novels Now God Be Thanked, Heart of War and By the Green of the Spring tracing the experiences of a family of aristocratic landed English gentry, their associates and servants during the Great War. Available from used booksellers. John Masters, a retired British Indian Army officer, is best known for his novels about India including The Night Runners of Bengal and Bwani Junction. Manhattan Transfer. John Dos Passos. Houghton Mifflin Company. September 2nd 2003. 342. 9780618381869. 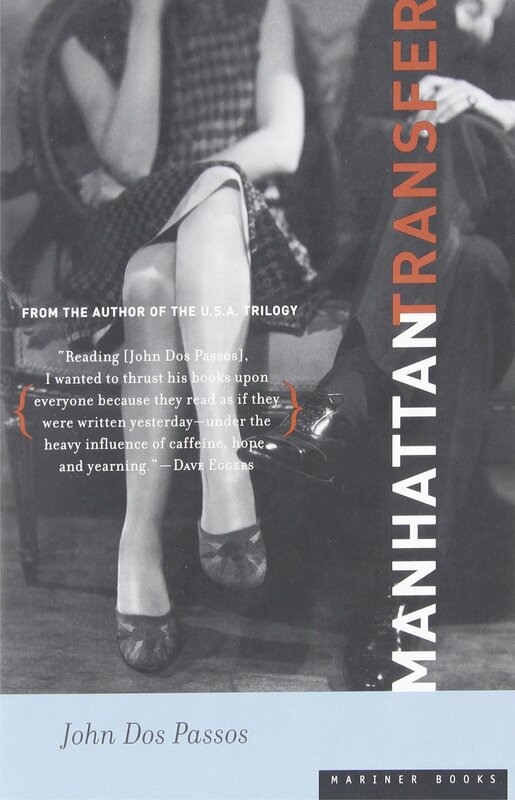 Considered Dos Passos’ greatest novel first published in 1925, this is a series of short stories, an expressionistic look at New York City in the 1920s; its protagonists, including returning Doughboys, struggle to live the American dream. Dos Passos, a leading member of “the lost generation,” was himself a WWI veteran, an ambulance driver in France and Italy. Megiddo’s Shadow. Arthur Gregory Slade. Wendy Lamb Books. October 10th 2006. 290. 9780385747011. For young adults. The story of a 16-year-old Canadian who, inspired by the deaths of his two brothers in WWI, enlists in the cavalry and is sent to fight in Palestine. 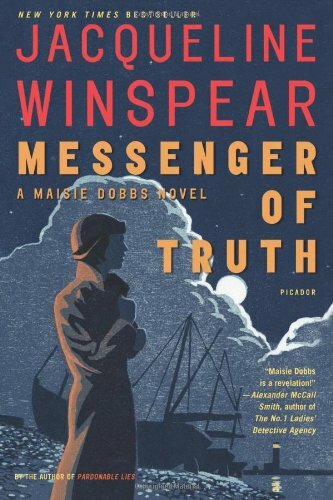 Messenger of Truth: A Maisie Dobbs Novel. Jacqueline Winspear. Henry Holt and Co.. August 22nd 2006. 322. 0805078983. Murder at a convalescent home for disfigured British WWI veterans. 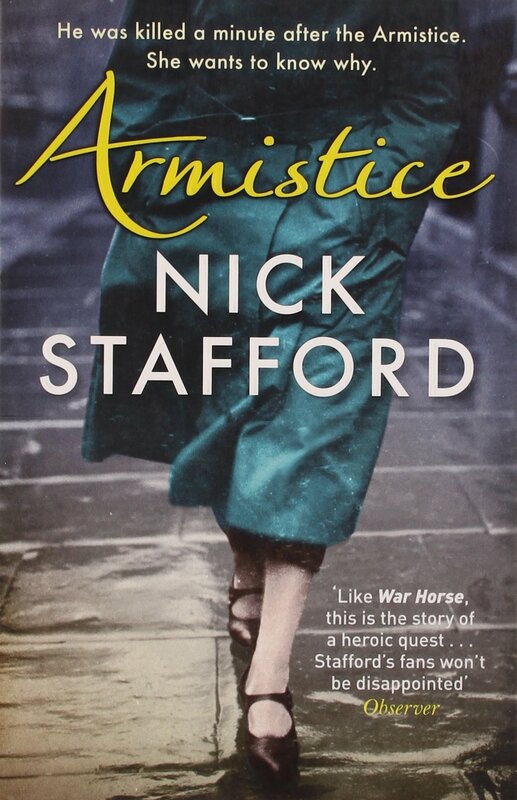 Fourth in the Maisie Dobbs series about an English private detective who served as a nurse behind the Western Front. 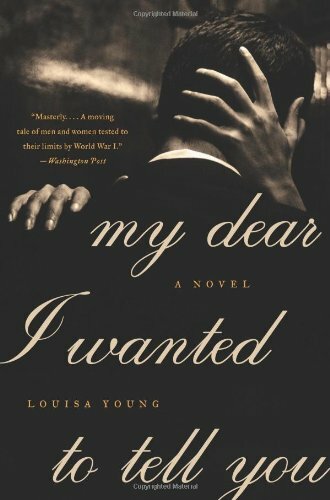 My Dear I Wanted to Tell You: A Novel. Louisa Young. Harper Perennial. June 26th 2012. 336. 0061997153. Centered on a patient with disfiguring facial war wounds being treated the renowned Queen’s Hospital Sidcup. 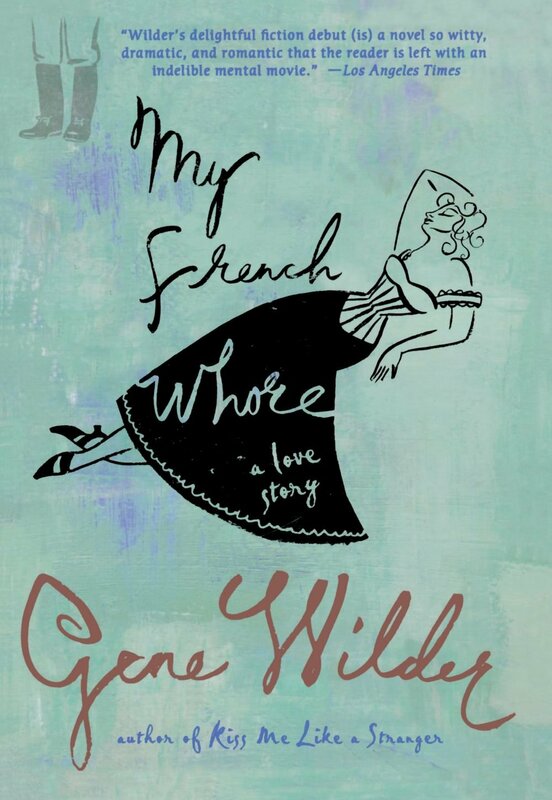 My French Whore. Gene Wilder. Macmillan. March 6th 2007. 178. 9780312360573. A serious historical novel by one of America’s top comedians about a German-speaking Doughboy, Paul Peachy from Milwaukee who impersonates a famous German spy after being captured on the Western Front. 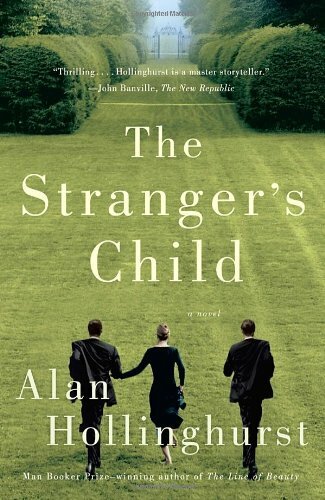 American Heritage favorably reviewed this novel in its April/May 2007 edition. No Graves As Yet. Anne Perry. Ballantine Books. 2004. 363. 9780345484239. 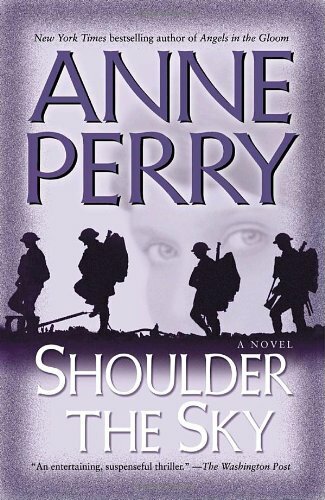 Mystery novelist Anne Perry turns to WWI writing the story of the efforts of a British intelligence officer Matthew Reavley, and his Anglican priest brother Joseph to solve the mystery of their parent’s murder on the eve of WWI. Unimpressive. Pedestrian plot, character sketches thin; panned by several reviewers in the US and England. Not Only War: A Story of Two Great Conflicts. Victor Daly. University of Virginia Press. June 2nd 2010. 103. 9780813929712. 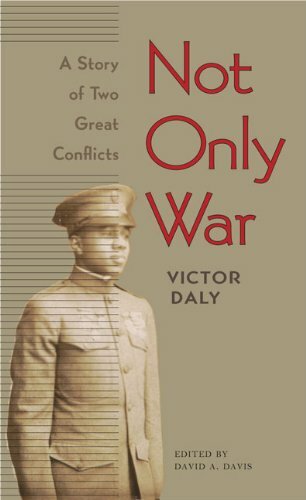 Dubbed by the publisher as the only WWI novel written by an African-American, Daly examines the impact of the Jim Crow color line on black officers in the segregated military. The reprint included three short stories by Daly. Not So Quiet.... Helen Zenna Smith. Feminist Press at CUNY. January 1st 1993. 300. 9780935312829. 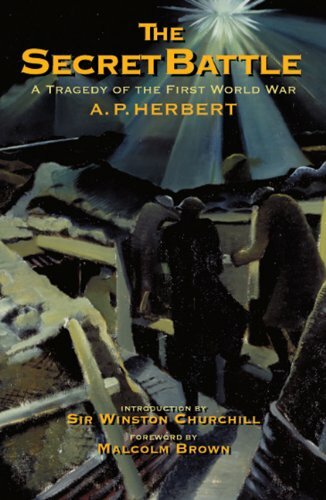 First published in 1930, this is a bitter- sweet novel about British volunteer nurses (VADs) behind the Western Front. Advertised as autobiographical, it is likely based on the diaries of ambulance driver Winifred Young. 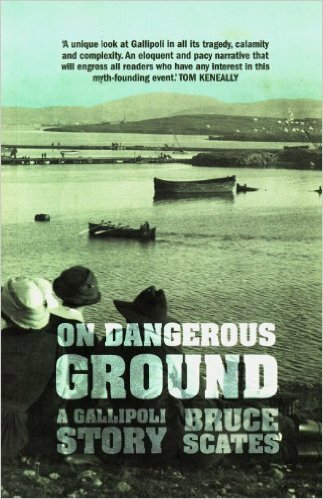 On Dangerous Ground: A Gallipoli Story. Bruce Scates. University of Western Australia Press. September 15th 2012. 272. 1742583938. A novel of the 1915 Gallipoli campaign mixing fact and fiction written by a leading Australian historian; featuring a selection of paintings by Australian artist George Lambert. One Man's Initiation: 1917. John Dos Passos. . December 1st 2006. . 1598180800. A passionate indictment of war with colorful descriptions of France during the conflict, this was Dos Passos first novel. He served Norton-Harjes Ambulance Corps in France and with the American Red Cross Northern Italy before volunteering for the U. S. Army Medical Corps in 1918. Available used from several booksellers. One Of Ours. 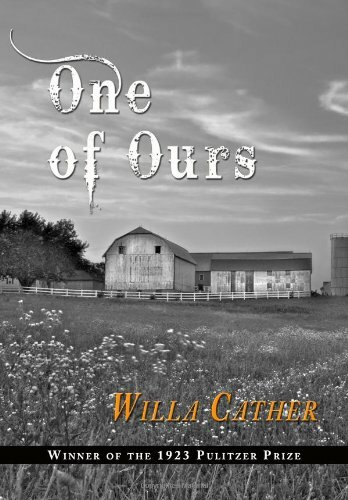 Willa Cather. . February 15th 2009. 352. 143828456X. 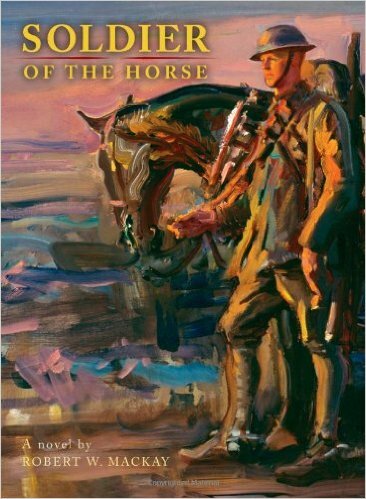 Reprint of a Pulitzer Prize-winning (1922) novel about a Nebraska farm boy who, alienated from his parents and rejected by his wife, finds his destiny on the Western Front. An American classic despite what have been described as stilted combat scenes. 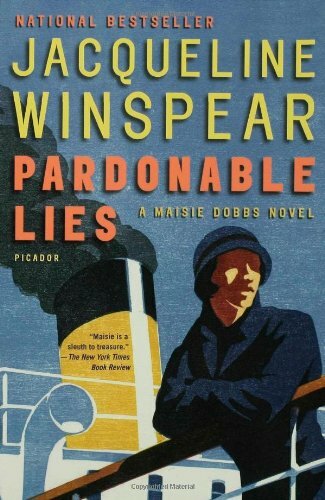 Pardonable Lies: A Maisie Dobbs Novel. Jacqueline Winspear. Henry Holt and Co.. August 10th 2005. 342. 0805078975. This is the author’s third novel about post-WWI British private eye Maisie Dobbs, a former BEF nurse. Winspear’s first novel, Maisie Dobbs, was nominated for an Edgar and her second, Birds of a Feather, is now available in Penguin paperback. Both Pardonable Lies and Maisie Dobbs are available on disc and tape from Barnes & Noble. 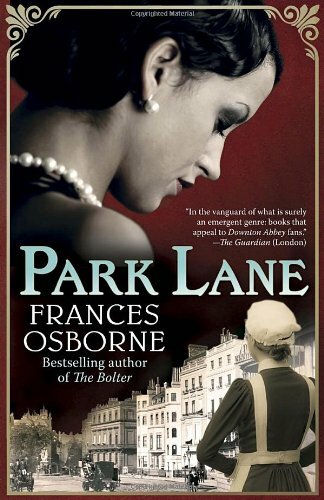 Park Lane. Frances Osborne. Vintage Books. June 12th 2012. 322. 9780345803283. The outbreak of WWI forever changes the British social order; in the genre of Up Upstairs, Down Stairs & Downton Abby. Paths of Glory. Humphrey Cobb, James H. Meredith, David Simon. Penguin Classics. June 29th 2010. 190. 0143106112. First published in 1935, this provocative novel was made into a 1957 motion picture directed by Stanley Kubrick. Kurt Douglas was nominated for an Academy Award for his leading role as a French infantry colonel ordered to take an impregnable hill. Cobb was war correspondent in France and Belgium and a witness to the German invasion. 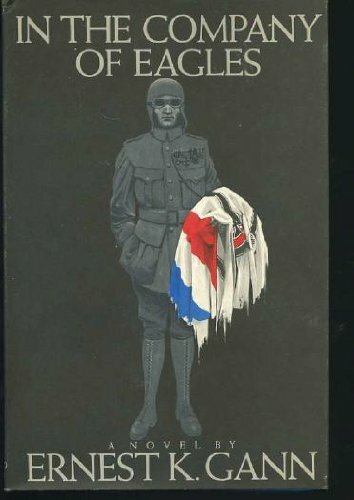 // Written in the 1930s, this classic WWI novel of the French Army was authored by an American veteran of the Canadian forces. The 1957 movie version directed by Stanley Kubrick and still available on VHS and DVD earned Kurt Douglas an academy award nomination. 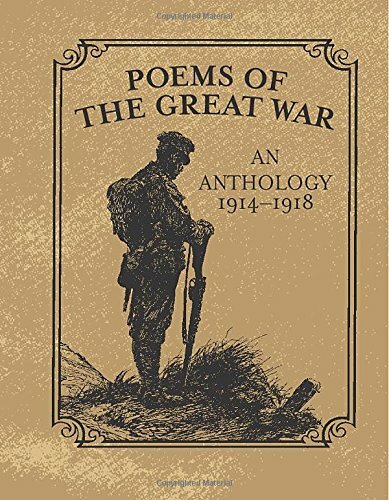 Poems of the Great War: An Anthology, 1914-1918. Christopher Navratil. Running Press. March 25th 2014. 240. 0762450886. Nearly 50 poems from the best-known poets of the era. Red Horse Rode Out. J. C. Arlington. Infinity Publishing. 2004. 368. 9780741423429. A novel of the Lost Battalion. Severed Branch. Andrew R. H. Mowatt. iUniverse. November 13th 2006. 320. 0595389945. 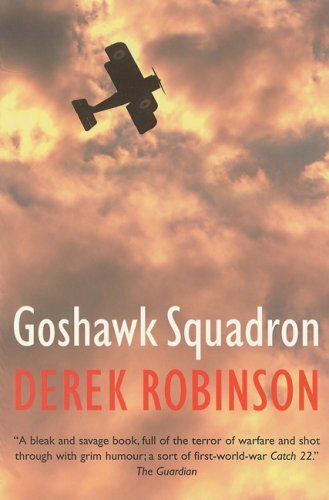 This story of the RFC’s air war in northern France moves back and forth from a present day protagonist to dream sequences, flashbacks to Royal Flying Corps aerial battles. Shoulder the Sky. 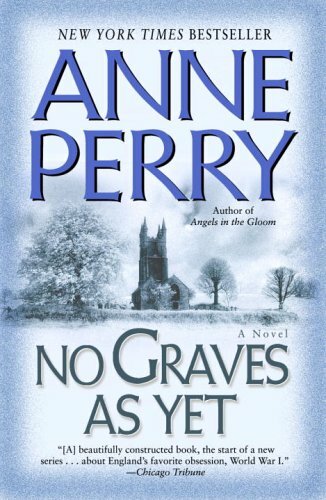 Anne Perry. Ballantine Books. September 28th 2004. 338. 9780345456540. econd in Perry’s new WWI series opened with No Graves Yet. 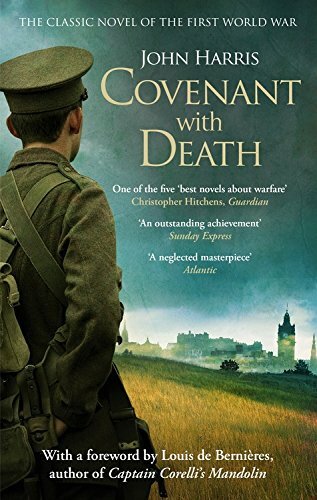 Now an army chaplain, Joseph Reavley investigates the mysterious death of an obnoxious London Times war correspondent whose body is found between the lines in Flanders. Second in a series. 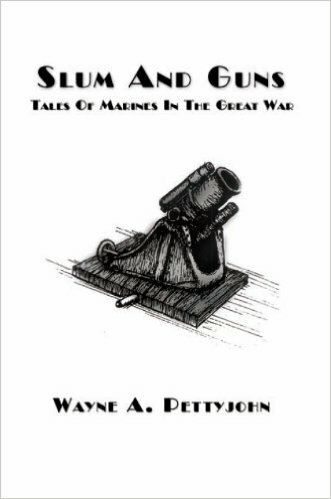 Slum and Guns: Tales of the Marines in the Great War. Wayne A. Pettyjohn. Xlibris Corporation. November 18th 2010. 166. 1456818082. Available from the author at phidwaye@aol.com. 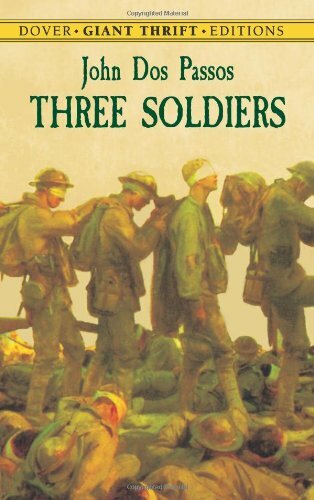 The second novel in a planned Marine Corps trilogy, this one a series of short stories based on the exploits of the Fourth Marine Brigade on the Western Front. Soldier of the Horse. Robert W. MacKay. TouchWood Editions. 2011. 234. 9781926741246. 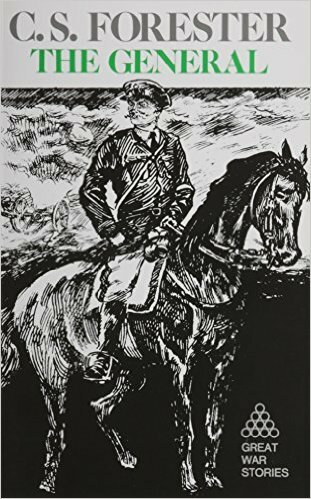 Novel of the Canadian cavalry in WWI including an informative account of the Battle of Moreuil Wood. Available from www.touchwoodeditions.com. Strange Meeting. Susan Hill. Penguin Books. 2011. 184. 9780140036954. First published by Nonpariel in 1992, this is story of friendship in wartime. Also available used from Barnes & Noble. Sunnyside. Glen David Gold. Vintage Books. May 4th 2010. 675. 9780307454980. A rollicking comic novel set on a single day in the winter of 1916; a tale of perversity and misfortune involving, among others, Charlie Chaplin, Mary Pickford and Elsie Janis. 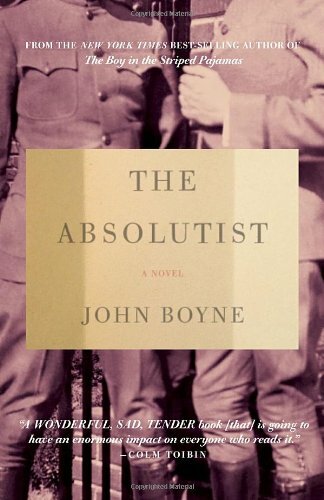 The Absolutist. John Boyne. Other Press. July 10th 2012. 309. 1590515528. The life and death of a WWI conscientious objector by the author of The Boy in the Striped Pajamas. Tackles the post-1918 anti-war movement in the UK. The Ace. Jack D. Hunter. Blue River Press. September 1st 2008. 300. 9780979924064. Story of the political intrigue and corruption surrounding American combat aviation in World War One written by the author of The Blue Max, his 17th and final novel published the year before his death in 2009. The Air We Breathe. Andrea Barrett. W. W. Norton & Company. October 17th 2007. 320. 0393333078. 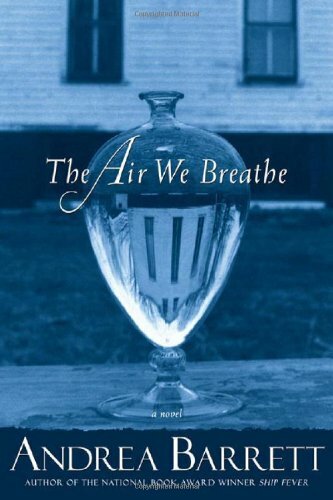 Story set in 1916 in an Adirondack tuberculosis asylum. America is still at peace, but a well-meaning patient initiates a discussion group which brings The Great War home sparking anti-immigrant prejudice and vigilantism in an isolated rural community. The Baghdad Railway Club. Andrew Martin. Faber & Faber. 2012. 304. 9780571249619. 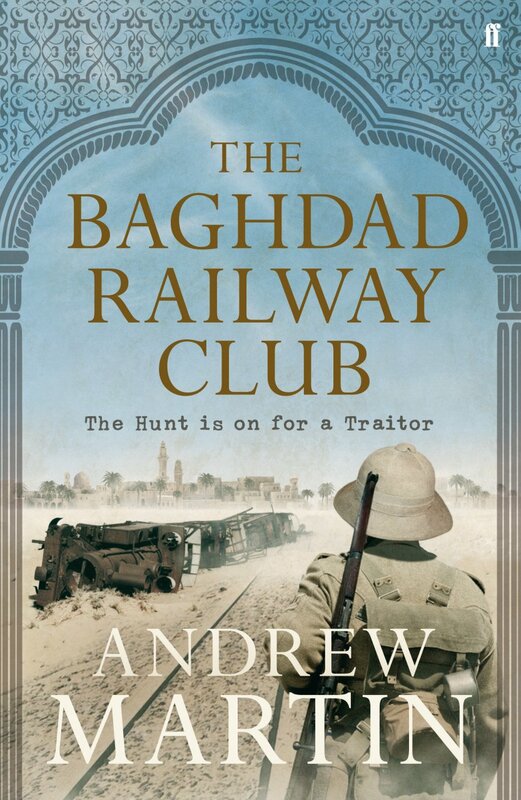 Another Jim Stringer Railway Cop novel finds our hero invalided from the Western front and in Mesopotamia seeking a British traitor. 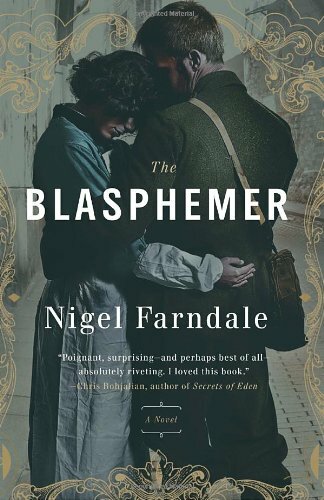 The Blasphemer. Nigel Farndale. Broadway Paperbacks. August 23rd 2011. 371. 9780307717047. 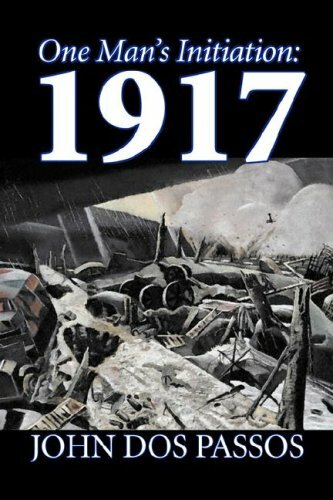 A novel of the Ypres front of 1917 and 1918 with superb detail on life in the mud and trenches. The Bootlace Boys. Eric Collinson. Tommies Guides. October 1st 2011. 392. 9780956342676. 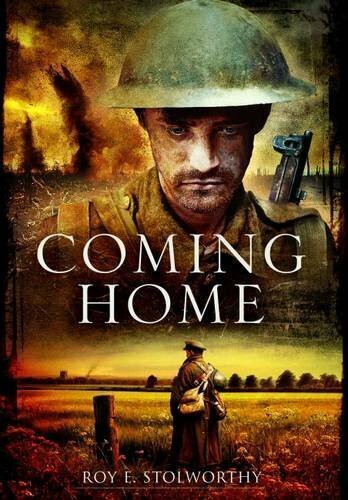 A novel based on the Great War letters of a Durham coal hewer. 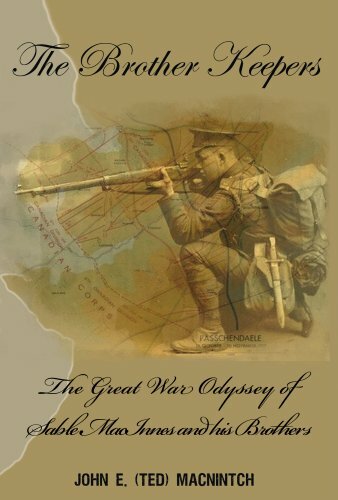 The Brother Keepers: The Great War Odyssey of Sable MacInnes and His Brothers. John MacNintch. . May 1st 2007. 779. 0978750500. A novel encapsulating and placing in perspective Canada’s Great War experience through the story of the fictional MacInnes brothers from Nova Scotia. Appendices contain a glossary of terms and identification of principal historical characters, as well as the Canadian order of battle. Look for a full review in a WFA journal. 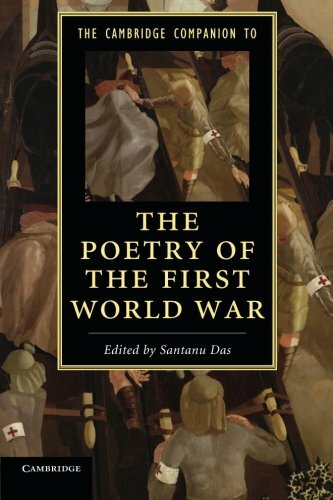 The Cambridge Companion to Poetry of the First World War. Santanu Das. Cambridge University Press. December 6th 2013. 336. 1107692954. Leading scholars reexamine WWI poetry in English. The Care and Management of Lies. Jacqueline Winspear. HarperCollins. July 1st 2014. 319. 0062220500. Lives forever changed by war with a sub-theme on the importance of food to the fighting man. 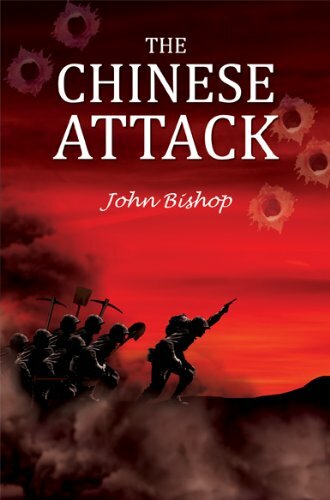 The Chinese Attack. John Bishop. Pegasus Elliot Mackenzie Publishers. January 1st 2012. 400. 9781843869191. A novel of the Chinese Labor Corps on the Western Front. 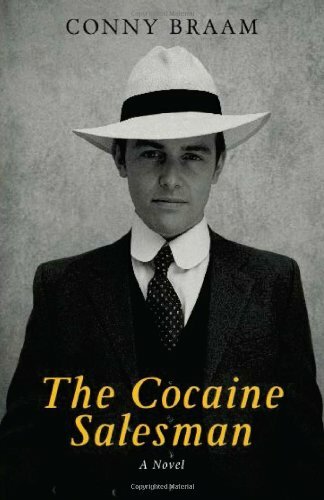 The Cocaine Salesman. Conny Braam, Jonathan Reeder. Haus Publishing. June 19th 2012. 450. 1907822054. Traces the lives during and after WWI of two men — one a disfigured British soldier, one a Dutch drug dealer — impacted by the war-time trade in cocaine based in the Netherlands. 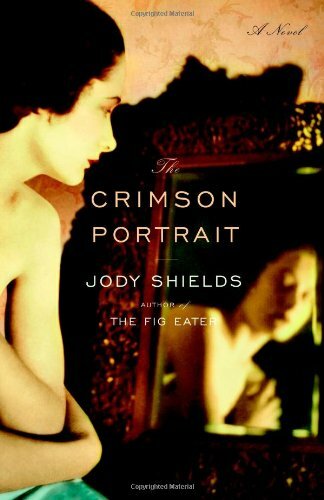 The Crimson Portrait. Jody Shields. Little, Brown and Company. December 1st 2006. 296. 9780316785280. 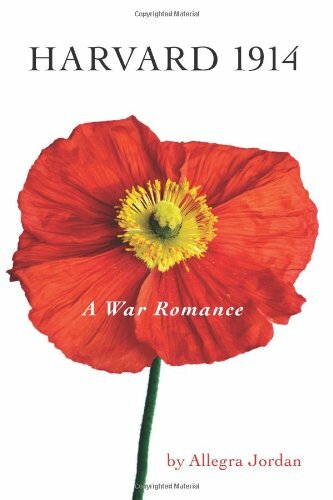 A novel about the pioneering treatment of soldiers with disfiguring facial wounds mixing medical fact with romantic fiction in WWI England. The Daughters of Mars: A Novel. 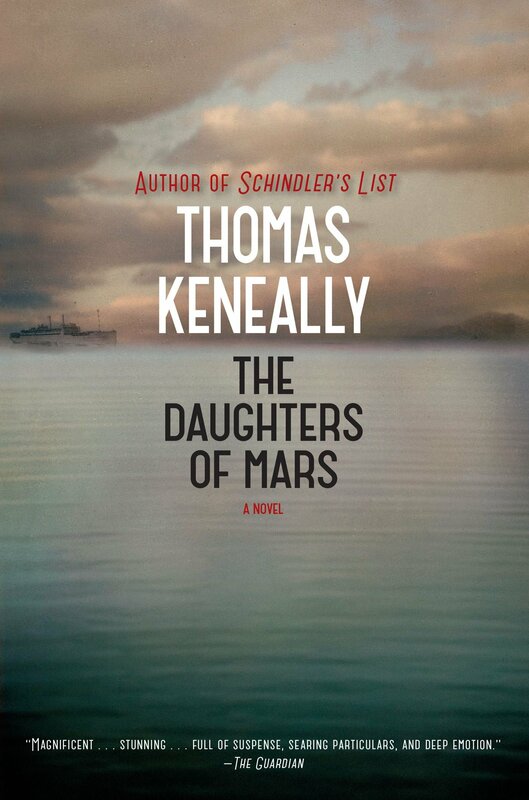 Thomas Keneally. Simon and Schuster. August 20th 2013. 517. 9781476734613. Two Australian girls leave their farming community to serve as nurses first at the Dardanelles, then behind the Western Front where they find both horror and romance. The Dead of Mametz. Jonathan Hicks. Y Lolfa. April 9th 2011. 332. 9781847713155. 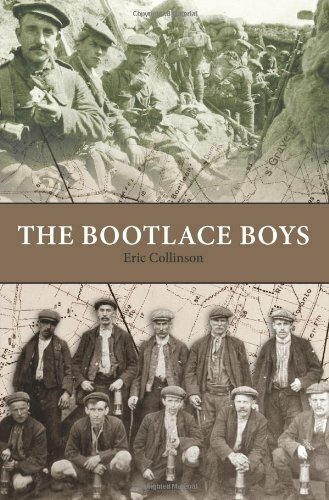 A fictional account of the adventures of a former Welsh policeman serving as an officer of the BEF Military Foot Police. Apparently the first in a planned series. The Devil's Lieutenant. 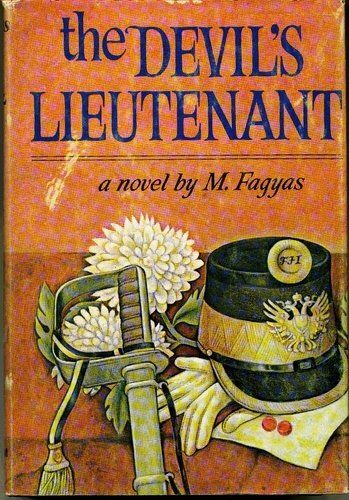 M. Fagyas. . June 1970. 392. 978-0399102080. A murder mystery featuring the Austro-Hungarian officer corps in 1910 Vienna and elsewhere in the ramshackle, multinational and polyglot Habsburg Empire. Intrigue in the Imperial and Royal Army as Austria-Hungary stumbles toward war. A fast-paced and finely crafted fictionalized glimpse of a decaying Empire written by the daughter of an imperial officer. 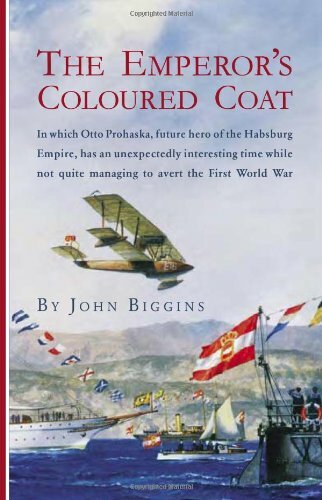 The Emperor's Coloured Coat. John Biggins. McBooks Press. May 1st 2006. 349. 1590131088. 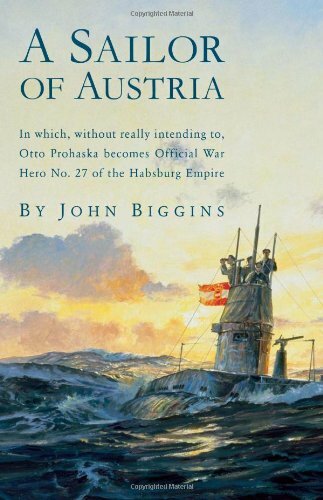 The hapless Otto Prohaska, Hero of the Habsburg Empire almost, but not quite averts World War One. Second in a series; the third book, The Two-Headed Eagle, is coming soon. The Enormous Room. E. E. Cummings. Dover Publications. August 26th 2002. 192. 9780486421209. An autobiographical account of Cummings’ arrest and imprisonment for alleged treason in France during WWI. Cummings served as an American volunteer driver in the Norton-Harjes Ambulance Corps. First published in 1922. The First Casualty. Ben Elton. Transworld Publishers. November 1st 2005. 389. 0593051114. 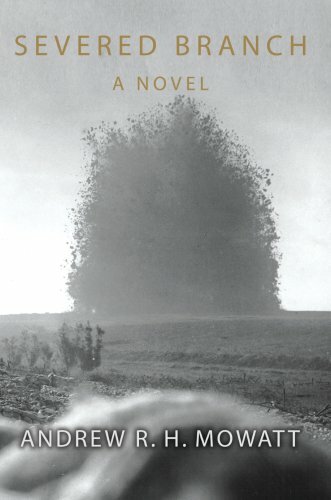 A WWI crime novel involving an improbable combination of trench warfare, shell shock, crime detection and conscientious objection. The author is best known as a comic novelist and wrote parts of the Black Adder series. Drew decidedly mixed reactions from readers and reviewers alike. The General. C. S. Forester. . January 1st 1982. 263. 9781877853395. 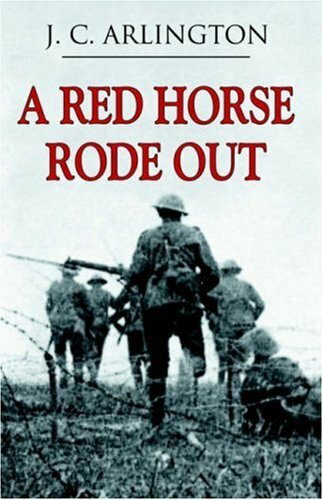 First published in 1936, this novel recounts the experiences in WWI of Herbert Curzon, a mediocre cavalry officer who rises from battalion command to head up a BEF army on the Western Front which collapses in the face of the German onslaught of spring 1918. Often thought to be the fictionalized story of General Hubert Plummer, this book makes an exceptional read. Forester is best known for the fictional Napoleonic War-at-sea Hornblower series and for his novel The African Queen set in WWI-era Africa. The Given Day. Dennis Lehane. William Morrow. September 23rd 2008. 704. 0688163181. A sprawling novel of post-World-War-One upheaval and uncertainty in Boston, by the author of Mystic River. 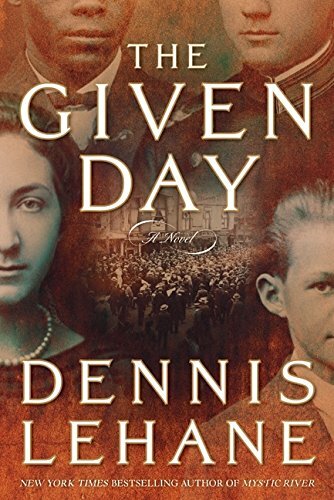 A fictionalized account of events surrounding the Boston Police strike of 1919, racial and ethnic strife, anarchist and Bolshevik agitation, the catastrophic collapse of the North End molasses tank, the influenza pandemic, Irish politics, and Babe Ruth. The Good Soldier. Ford Madox Ford. CreateSpace Independent Publishing Platform. December 17th 2011. 136. 9781467964562. 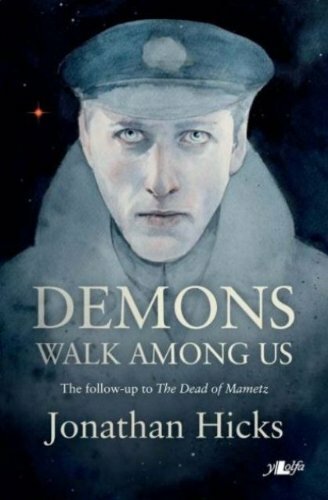 A 1915 story of deception and betrayal set just before WWI; by an exceptional British author who also crafted the acclaimed tetrology Parade’s End about his WWI experiences, A Man Could Stand Up and Zeppelin Nights. 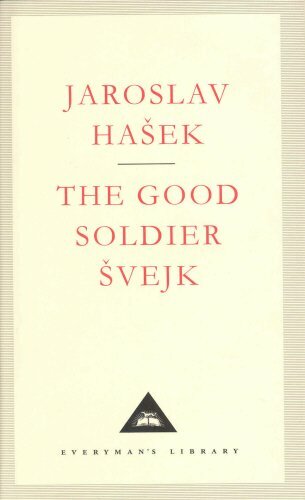 The Good Soldier Svejk: and His Fortunes in the World War. Jaroslav Hašek. Amereon House. 1990. 429. . Hilarious classic satire first published in 1917 from a leading Czech author and WWI veteran about the adventures of a bumbling yet cunning Czech soldier in the Austro-Hungarian Army. Also available in Penguin paperback from Barnes & Noble. Buy this affordable hardcover copy for the fine illustrations. The Great War, Book 1: American Front. 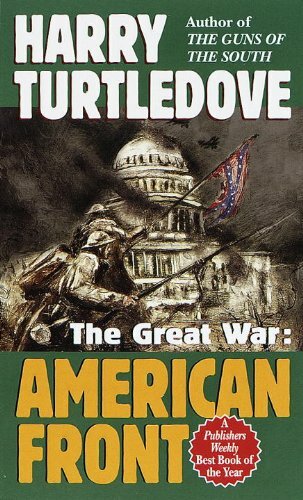 Harry Turtledove. Random House Publishing Group. December 24th 2008. 608. 9780307531018. 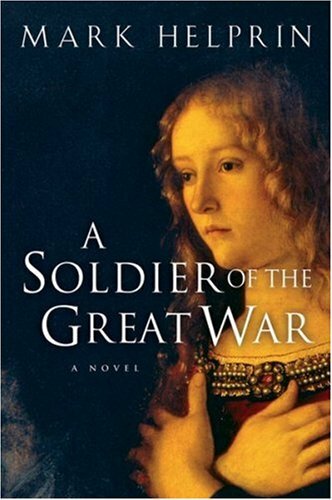 The first in a series of counter-factual historical novels set during WWI. This one finds a divided America on opposite sides of the conflict with Wilson’s Confederate States of America allied with Great Britain and the USA led by Teddy Roosevelt aligned with Imperial Germany. The second in this series is subtitled A Walk in Hell (ISBN 978 0 34544 0562 3). The Kaiser’s Yanks. Gary C. Warne. Richardson Publishing. June 28th 2011. 288. 1935683098. A fanciful tale of a group of American of German ancestry who travel to Germany to join the Kaisers forces ending up in the air force. 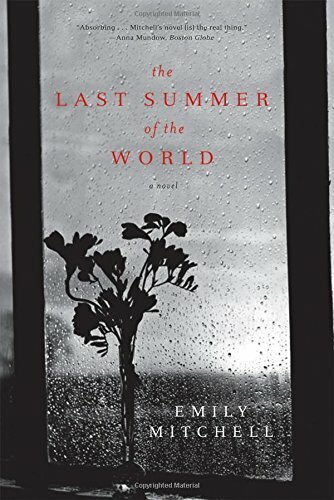 The Last Summer of the World: A Novel. Emily Mitchell. W. W. Norton & Company. June 18th 2007. 390. 0393064875. A novel about photographer Edward Steichen’s return to wartime France and his reckoning with his painful past. 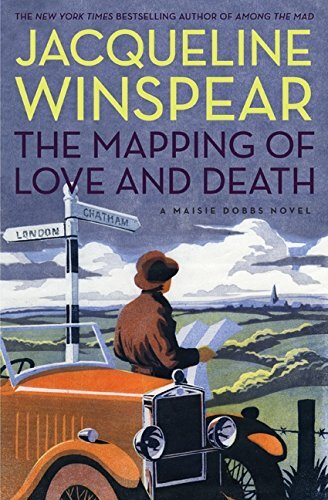 The Mapping of Love and Death: A Maisie Dobbs Novel. Jacqueline Winspear. Harper Collins. 2010. 338. 9780061727665. Set in 1932, this is the seventh novel in the Maisie Dobbs series in which Maisie, a former WWI VAD, investigates the mysterious death of an American cartographer believed killed in battle. Winspear’s sixth Maisie Dobbs novel, Among the Dead, was published in 2009. The Officers’ Ward. Marc Dugain. Gale Group. 2002. 192. 9780753812846. The story of the long treatment, and slow mental and physical recovery of French officers with severely disfiguring facial wounds suffered on the Western Front. Recently made into a fine motion picture now available with English subtitles on region two DVD from Amazon.co.uk. 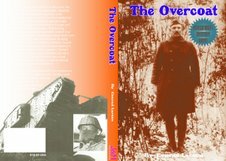 The Overcoat. Conrad Larson. Overcoat. 2008. 224. 9781931916530. A mystery novel of WWI. The Patriot's Progress. Henry Williamson. History Press Limited. May 25th 2004. 288. 9780750936408. Story of a young British Tommy, who went on to be a noted nature writer. 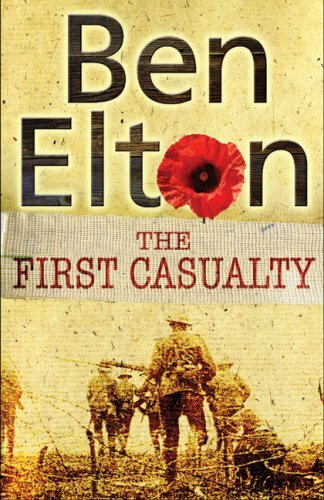 // One of two autobiographical novels describing the author’s experiences as an infantryman in WWI which turned him into a Pacifist. First published in 1930. Williamson is best known for his prize-winning 1927 novel Tarka the Otter. 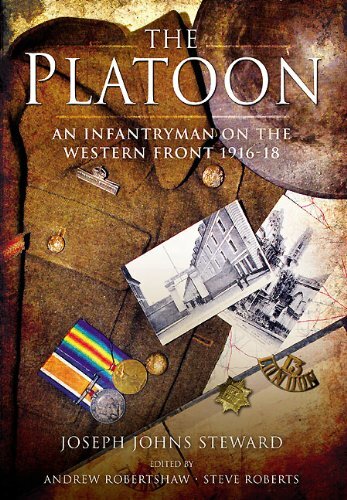 The Platoon: An Infantryman on the Western Front 1916-1918. Joseph Steward, Andrew Robertshaw. . 2011. 200. 9781848843615. A fictionalized account of John Joseph Steward’s wartime career published here for the first time. The Post-Office Girl. Stefan Zweig, Joel Rotenberg. New York Review Books. April 15th 2008. 257. 1590172620. 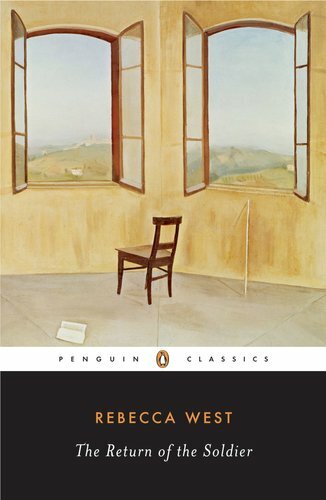 First published posthumously in Germany in 1982, this is a novel about post-WWI Vienna and the frayed society left behind with the disappearance of the Austro-Hungarian Empire. Zweig (1881-1942), an Austrian Jew and author of The World Yesterday (1941) was forced into exile in 1934 and died by his own hand in Brazil in 1941. 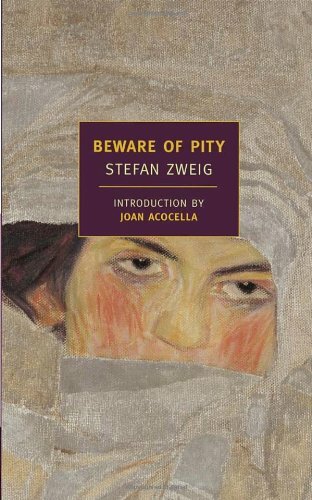 Stefen Zweig should not be confused with the German Arnold Zweig, author of the classic WWI novels Education Before Verdun and The Case of Sergeant Griska. The Radetzky March. 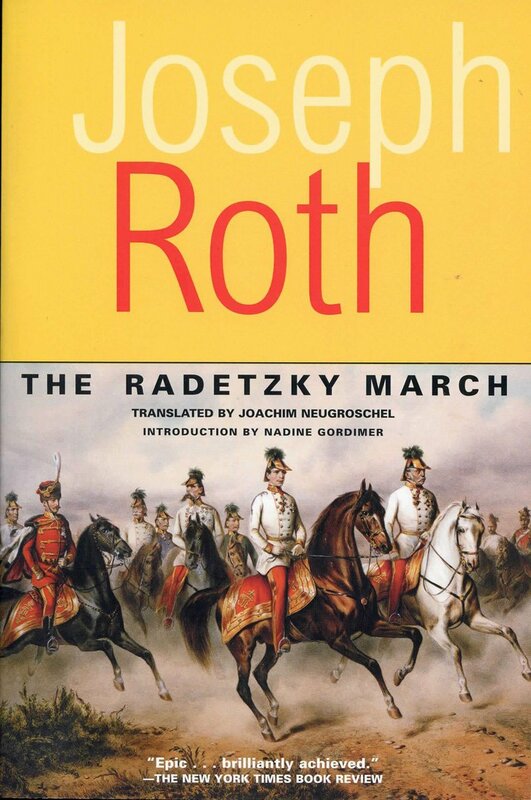 Joseph Roth. Overlook Press. August 1st 2002. 331. 9781585673261. First volume in the Trotta family saga tracing the decline of the Habsburg dual monarchy. 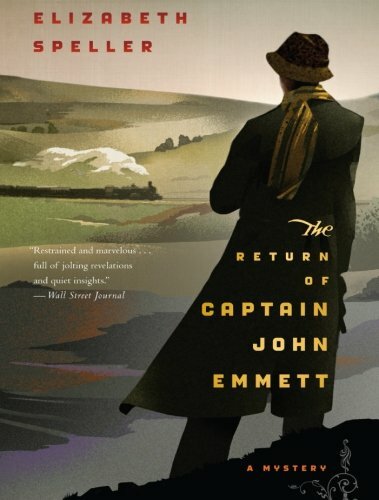 The Return of Captain John Emmett. Elizabeth Speller. . 2011. 442. 9780547737409. The investigation of suicide by a British war veteran in 1920 reveals a tangled web of secrets. The Return of the Soldier. Rebecca West. Penguin. June 1st 1998. 90. 9780141180656. A shell shocked British officer returns to his stately upper class English home suffering from amnesia. A view of the shifting nature of the British upper classes after the upheavals of the Great War. The Riddle of the Sands. 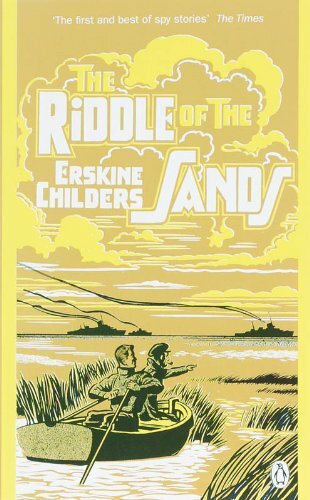 Erskine Childers. Penguin Adult. June 7th 2007. 352. 9780141031279. An early spy novel written in 1903 by a Boer War veteran; the plot revolves around German plans to invade England discovered while sailing among the Frisian Islands. Childers (pronounced Chill-ders), an Irish patriot who smuggled arms aboard his yacht, was executed by the Free State authorities in 1922 during the Irish Civil War. 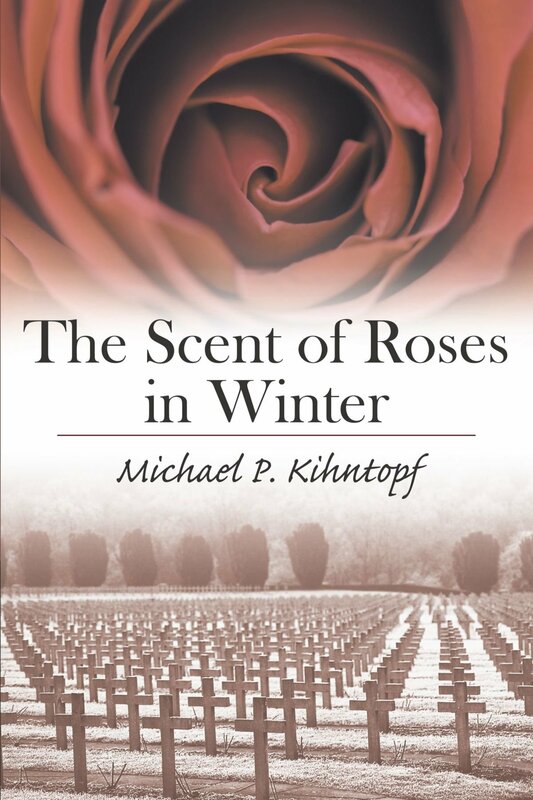 The Scent of Roses in Winter. Michael P. Kihntopf. Authorhouse. October 5th 2010. 184. 1452080372. A well-crafted novel about the experiences of a German soldier on both eastern and western fronts, as well as in the postwar freicorps. Written by the chairman of WFA’s Southwest Chapter who has also published two histories of the Eastern Front. The Secret Battle: A Tragedy of the First World War. A.P. Herbert, Winston S. Churchill, Malcolm Brown. Frontline Books. April 1st 2009. 216. 1848325215. 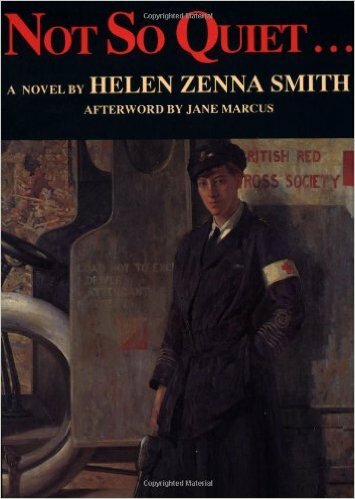 The fictionalized story of an idealistic young British officer first published in 1919. 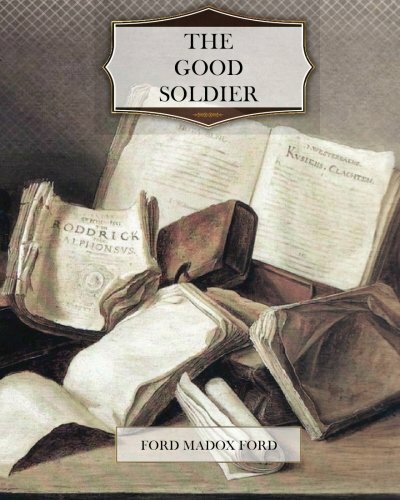 // First published by Methuen in 1919 and in print virtually ever since, this semi-autobiographical novel follows the career of a young man who left Oxford to enlist later taking a commission and serving at Gallipoli and on the Western Front. This was the first book to freely discuss executions for desertion in the British forces. 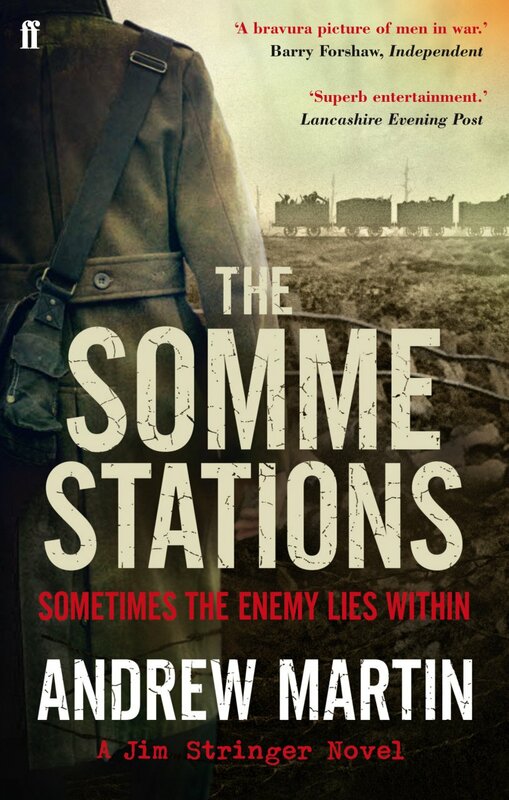 The Somme Stations. Andrew Martin. Faber & Faber. February 1st 2012. 336. 0571249647. Number seven in the Jim Stringer Steam Detective series finds Jim investigating a murder in a British railway pioneer battalion on the Western Front. // Enlisted British Army railwayman Jim Stronger finds himself falsely accused of murder during the 1916 Somme Campaign. Winner of the British Dagger Award for Best Historical Mystery. The Star of Istanbul. Robert Butler. Mysterious Press. October 7th 2013. 368. 0802121551. 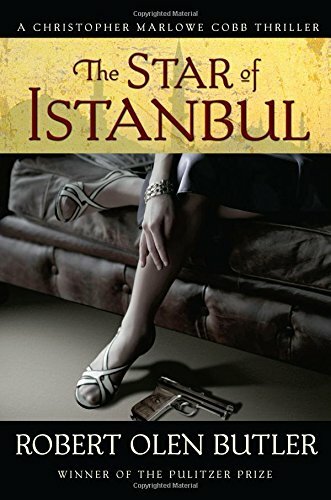 Journalist and American spy Christopher Marlow Cobb pursues a German agent across the Atlantic and into war-torn Europe and the Middle East. The Stranger's Child. Alan Hollinghurst. Vintage. September 4th 2012. 435. 0307474348. A novel of British morals and manners spanning the lives of two families from 1913 through the First World War and across the century. The author is a winner of the Man Booker Prize. 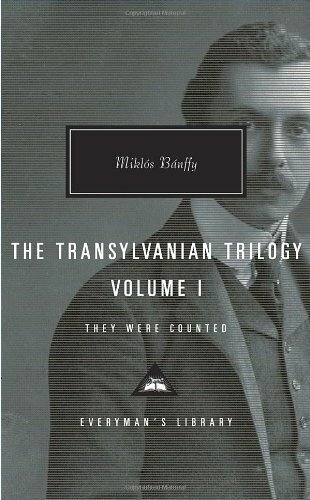 The Transylvanian Trilogy: They Were Counted, They Were found Wanting, They Were Divided. Miklos Banffy. Knopf Doubleday Publishing Group. 2013. 696. 9780375712296. Romantic fiction written by a Hungarian aristocrat and set in the years 1904-1914 examines the decline of the Austro-Hungarian Empire. Reprint of a 1990s translation by the author’s daughter and Patrick Thursfeld. The Vintage Book of War Stories. Sebastian Faulks. Vintage. 2005. 416. 9780099483465. 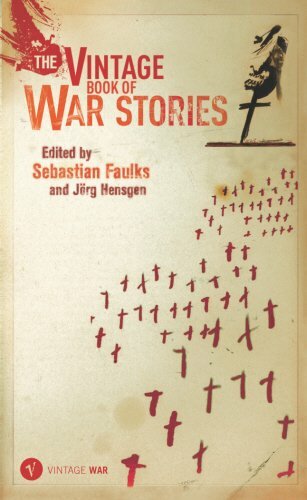 Includes WWI short stories and excerpts from novels by Eric Maria Remarque, Siegfried Sassoon, Wm. Boyd and Pat Barker. Three Soldiers. John Dos Passos. Courier Corporation. June 18th 2004. 309. 9780486434674. 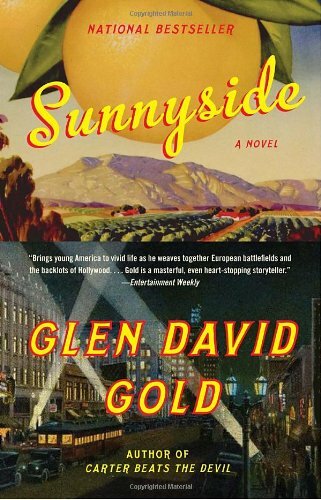 First published in 1921, a grim fictionalized depiction of life in the WWI era America Army by the author who typifies the Lost Generation. 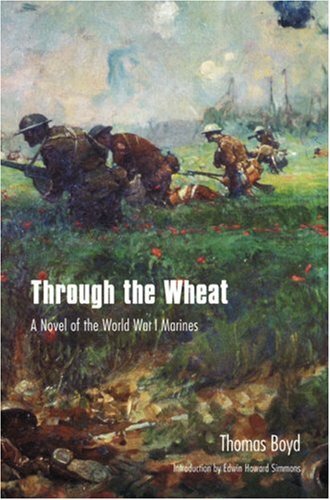 Through the Wheat: A Novel of the World War I Marines. Thomas Boyd. . September 1st 2000. 265. 9780803261686. 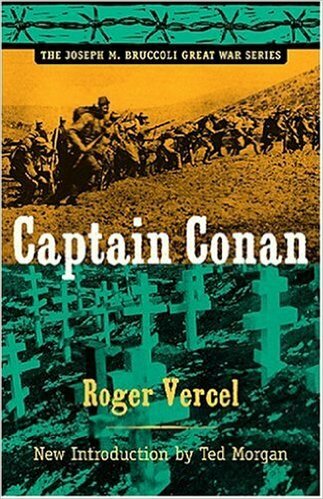 A fine novel about U. S. Marines in World War I by a veteran first published by Scribner in 1923 and still in print. A contemporary of Hemingway and Fitzgerald, Boyd never reached their level of expertise or popularity, though this is a memorable work of fiction. 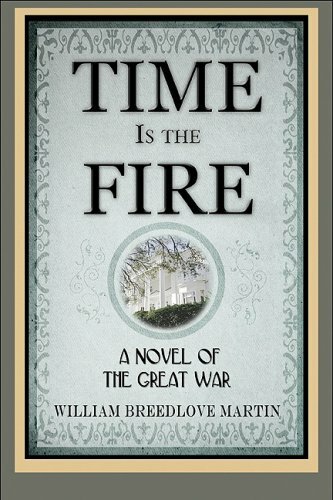 Time Is the Fire: A Novel of the Great War. William Breedlove Martin. PublishAmerica. 2008. 312. 9781606101186. 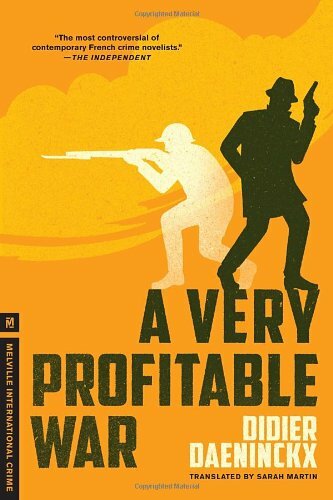 Deals mainly with the family left behind in Georgia by two brothers serving in the US First Pursuit Group. 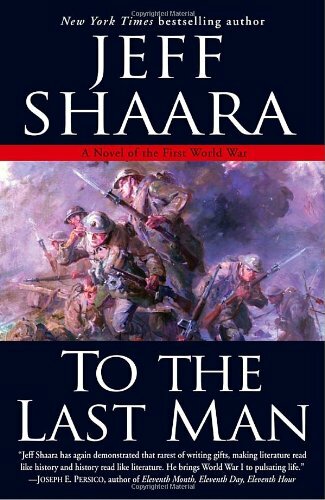 To the Last Man: A Novel of the First World War. Jeff Shaara. Ballantine Books. 2004. 636. 9780345461346. The war seen through the eyes of a frightened British Tommy, General John Pershing, and Baron Manfred von Richthofen by the best-selling author of novels on the American Revolution and Civil War. Available from the History Book Club. Toby’s Room. Pat Barker. Doubleday. October 2nd 2012. 320. 0385524366. 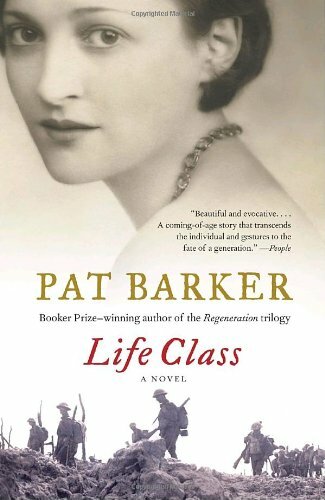 A British rehabilitation hospital treats facially disfigured WWI soldiers in a sequel to Ms. Barker’s 2008 Life Class. She won the 1995 Man Booker Prize for Ghost Road, third volume of her WWI Regeneration trilogy. Traitor. Stephen Daisley. New York Review of Books. March 18th 2014. 320. 9781590177518. A bond between an ANZAC soldier and a Turkish army doctor at Gallipoli leads to disgrace for the Aussie. Waiting for Sunrise. William Boyd. Thorndike Press. July 26th 2012. 577. 9781410449009. 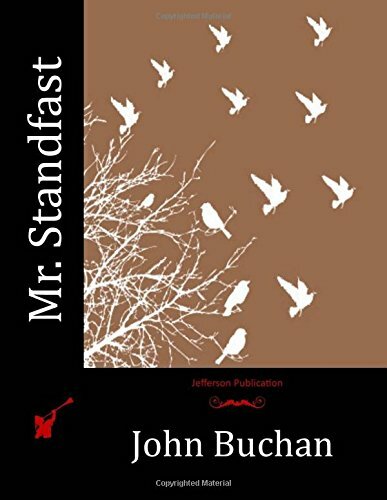 World War I espionage novel set in Vienna, London and Geneva by the author of the memorable An Ice Cream War, a rollicking farce about chasing von Lettow Vorbeck around East Africa. Also available as a Nook Book. 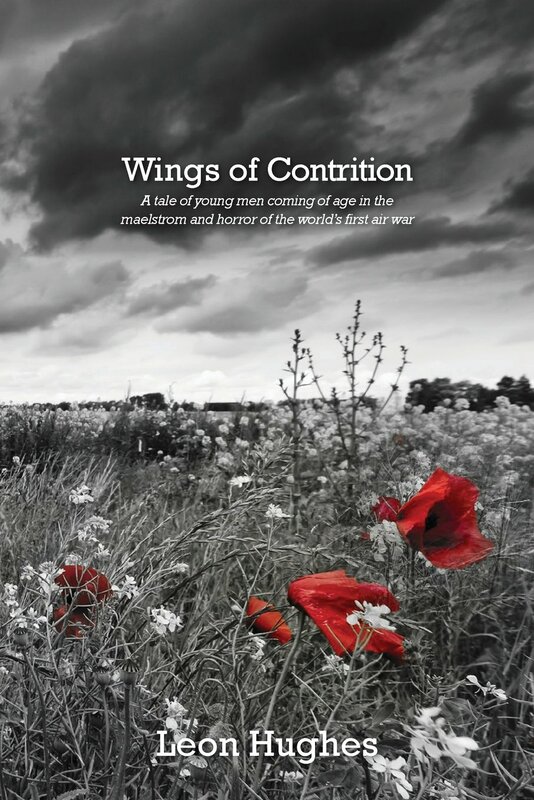 Wings of contrition: A tale of young men coming of age in the maelstrom and horror of the world's first air war. Leon Hughes. Createspace. June 4th 2013. 216. 1482590247. A potboiler of a novel about a French secret agent sent to penetrate the Kaiser’s court.